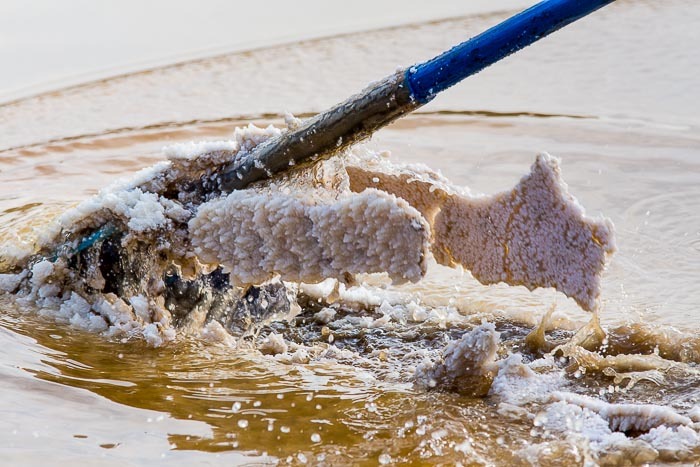 A worker rakes salt in a pond near Samut Songkhram, made with my 40mm "pancake" lens. One of the things I've noticed working with new photographers is a tendency to include as much in the photo as possible. Stand back, use a short or medium wide lens and make a record of the scene. This works for some photos but there is a lot more to see; it's time to push beyond the obvious. 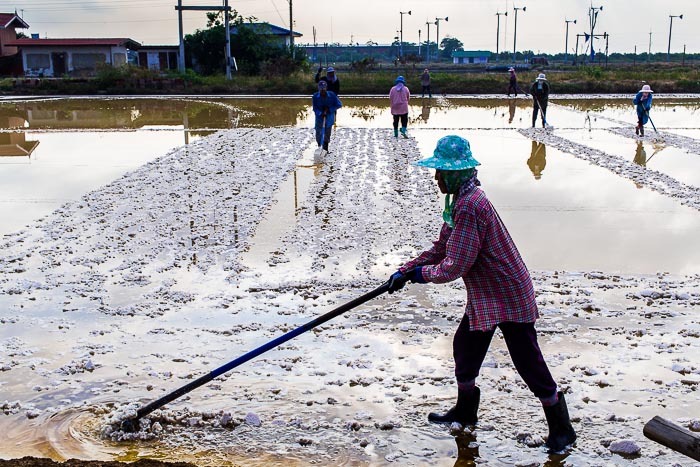 I made these photos early one morning while I was working on a story about salt farmers in central Thailand. The top photo is one of the first photos I made. I used my 40mm lens to photograph the workers raking up the salt in the briny pond. Salt being raked up in Samut Songkhram. This picture was made the same day as the top photo, in the same salt pond, within moments of when the top photo was made. This was made at 280mm, a 200mm telephoto with a Canon 1.4X teleconverter. Because of my background in journalism and newspapers, as both an editor and a photographer, I know many times publications are looking for pictures that they can use as small detail photos or as secondary art. After I had a selection of photos of workers in the pond I started looking for less obvious choices. I watched the rhythm of the work and the way the water flowed around the salt rakes and I liked what I saw. I couldn't get to close to the work because I would get in the way of the workers so I put my 200mm lens on the camera and it was still too loose for the picture I had in mind, so I put my 1.4X teleconverter to get a nearly 300mm lens. In this case I was not using the telephoto as a classic telephoto; I was using it as more of a macro lens. What you see there is the full, uncropped, frame. I use this recipe a lot. Like most of the journalists in Bangkok, I've spent a fair amount of time on the streets the last few months covering the political situation. 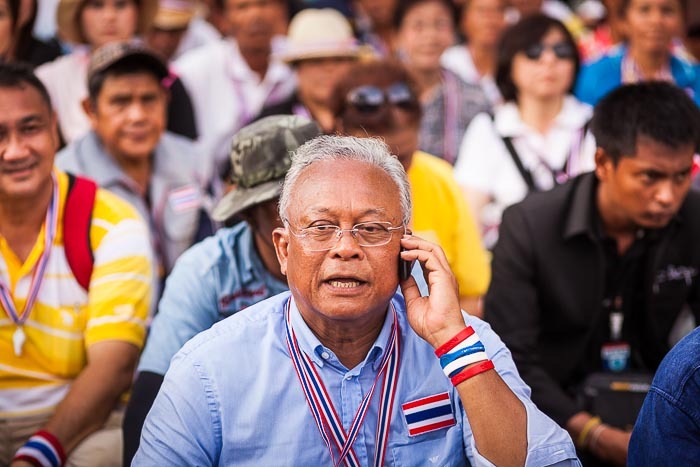 This week I photographed Suthep Thaugsuban at the Thai Parliament building. 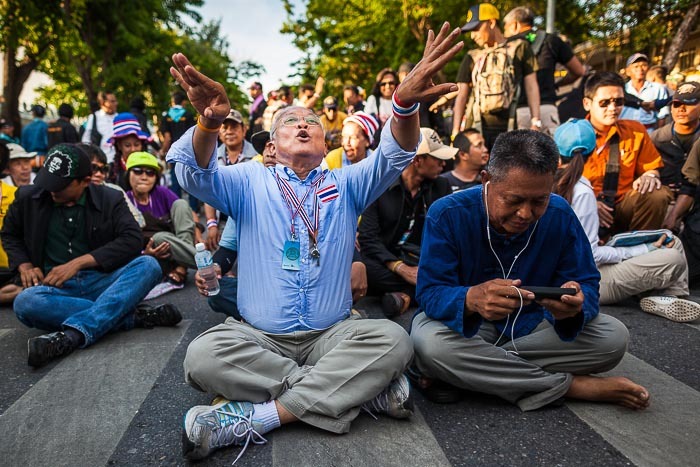 First I photographed the wide scenes of Suthep and his supporters blocking a Bangkok street. Suthep and his supporters block a road leading to the Parliament complex. Made with a 24mm lens. During the protests I usually work with two cameras, one with a wide angle lens and one with a telephoto lens. 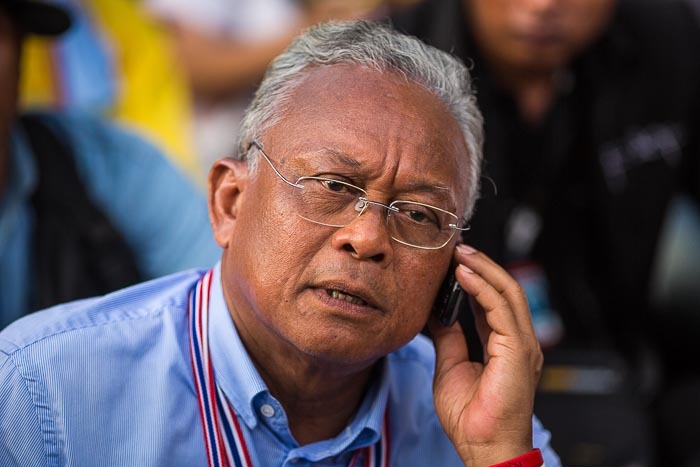 As soon as I finished photographing Suthep with the wide angle, I brought up the camera with the telephoto and photographed him with a 100mm lens. Moments later, made from the same place with a 100mm lens. Then I switched lenses to the longer 200mm telephoto and photographed him again. Because I'm an old Luddite, I don't usually use zooms so I'm constantly changing lenses from wide angle to telephoto (which is also one of the reasons I carry two camera bodies). This exercise would be even easier and faster with zooms. A couple of minutes later, made with a 200mm lens. The next time you're out photographing try including less in your pictures and see if you end up with more.